Disney Fantasy Will Be Sailing Maiden Cruise Soon! 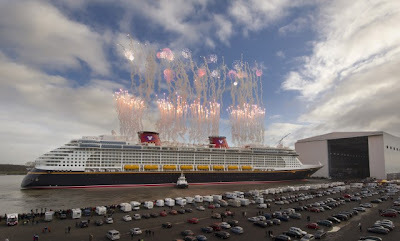 2012 is the year of the Disney Fantasy! Disney Cruise Line® is counting down to the launch of the newest ship in the fleet. On Jan. 8, Disney Fantasy floated out of the enclosed building dock at the Meyer Werft shipyard in Germany. In about two weeks, the ship will convey down the River Ems to the North Sea for the start of sea trials. More milestones will follow, concluding with the ship’s maiden voyage on March 31, 2012. There are several dates still available for a variety of sailings, including select 7-night Eastern and Western Caribbean cruises during the Disney Fantasy Inaugural year. Contact Only WDWorld Travel to get more details on the opportunity to cruise on the newest ship coming to the Disney Cruise Line Fleet.